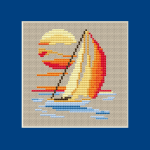 Simple but beautiful seascape showing a boat and sunset. 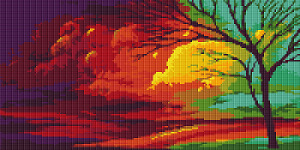 Peace - that was the other name for Home .An easy to do cross stitch pattern suitable for beginners. 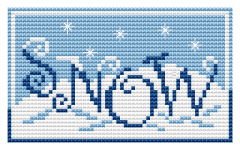 How does snow feel? 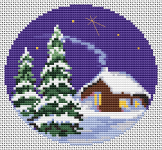 Snow feel likes cold,but It is funny to see people walk into a house and they have snow flakes in their hair.Let it snow! Winter landscape with a country home sitting by a frozen river and two trees in the still of night. A fallen lighthouse is more dangerous than a reef. 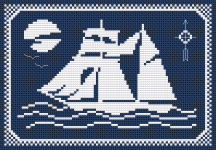 Stylized cross stitch pattern of Lady Liberty in blue and red. 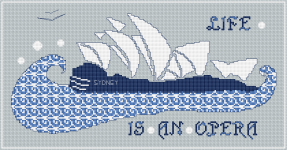 Stylized cross stitch pattern of the Sydney Opera house. 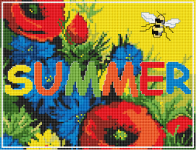 Bee flying over a field of flowers and the text "Summer". 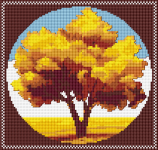 Abstract cross stitch pattern of a tree in autumn.